Children often want to help mom or dad plan for retirement and the realities of aging. It's not just about giving back to the people who raised you, but also guaranteeing the highest quality of life possible and least amount of burden or hassle during the aging process. A key part of this planning includes preparing for all possible scenarios. If an illness or accident impacts a parent's mental state or overall well-being, it will fall to immediate family to help make decisions in their loved one's best interests. This responsibility begins with obtaining power of attorney. This legal status ensures your control over the future care of your parent when the unthinkable or the unknown happens. Yet, concerned family shouldn't wait until this actually happens; discussions about power of attorney need to be held as children help parents plan their later years. Power of attorney refers to when a principal (mom or dad) decides ahead of time who should represent their interests - the attorney-in-fact - when or if they cannot make decisions for themselves. This can often occur as a result of dementia, stroke, terminal illness or an injury. The process of granting power of attorney begins with paperwork, and it's best to talk to an elder law attorney. Having a lawyer draft power of attorney documents helps ensure you and your parent's unique needs and concerns are met. There may be other less costly options, like getting documents from the internet, but there's no margin for error when establishing and enforcing power of attorney. If you're leaving the country for an extended trip and want to be covered in case mom falls ill. If there's normally a large distance between where you two live. If your parent has a memory disease or other debilitating condition that over time reduces ability to act independently. 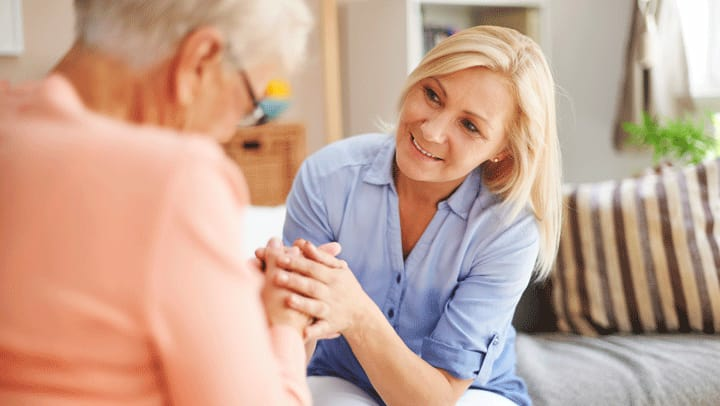 Medical power of attorney: This grants the attorney-in-fact the right to decide what medical care the principal receives, whether surgery or home health, and who treats them. This power also lets you to decide where your parent lives and what other conditions must be met for quality care. Financial power of attorney: As the name implies, obtaining this power of attorney allows you to make financial decisions on your parent's behalf when he or she can't. This includes the ability to manage assets, file taxes, access accounts to make payments and invest money. Durable power of attorney: Most power of attorney arrangements are made before possible incapacitation or disability occurs; and if such events do happen, the previous power of attorney may be nullified. That's what makes a durable power of attorney important for parents and children to consider to cover the spectrum of decision-making in aging. There's no real easy way to broach the topic of power of attorney, given all the things it relates to, but talking with mom or dad about it is essential. Life can largely be unexpected, and it's highly important that families prepare to handle any challenges that may occur, particularly when they involve a parent's aging process. Include the entire family. Disputes about power of attorney can be ugly, so get everyone on the same page from the start. Ask your parents what they want to happen should they become unable to take care of themselves. What is important to them? Go over the documents together and talk to a lawyer as a team. At Milestone, we understand the difficult position families are put in when power of attorney must be addressed. That's why we try to provide the most hospitable environment for parents and children as the former live out their retirement years being cared for and in comfort. Talk to us today.